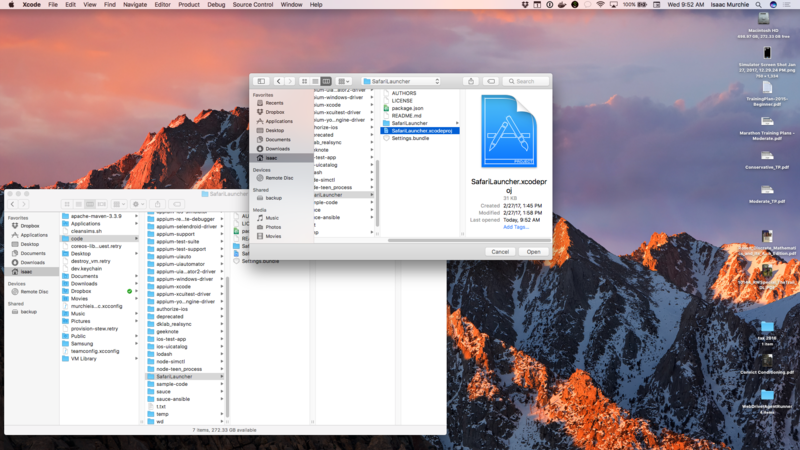 Running mobile web tests on iOS real devices with iOS 9.3 or below, using Instruments, requires the introduction of a third-party app, SafariLauncher. This is necessary because with Instruments there is no way to start the Safari app on the device. 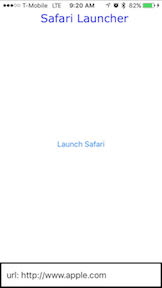 The SafariLauncher app just launches, and then launches Safari. Simple! 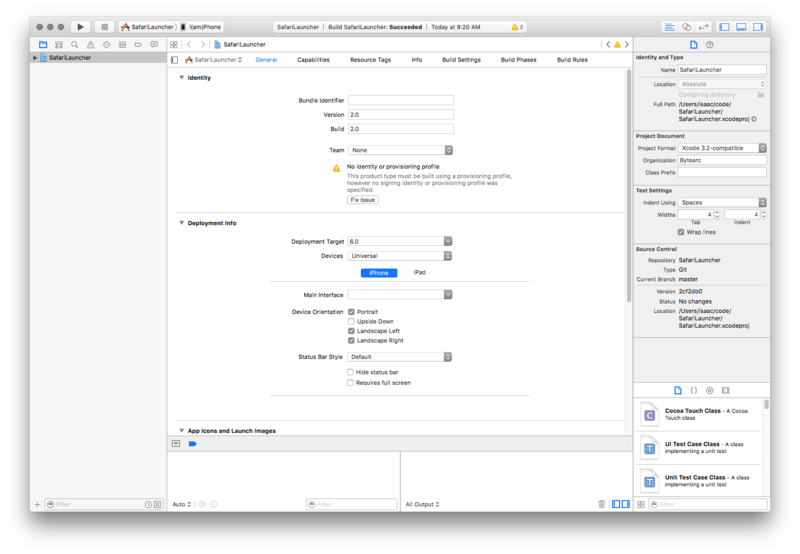 In some configurations, Appium is able to automatically build, sign, and install SafariLauncher as it needs, and there is nothing else necessary to be done. If, however, this is not the case, as is more often so with later versions of Xcode, the following configuration needs to be done before Safari tests on real devices can be successfully run. 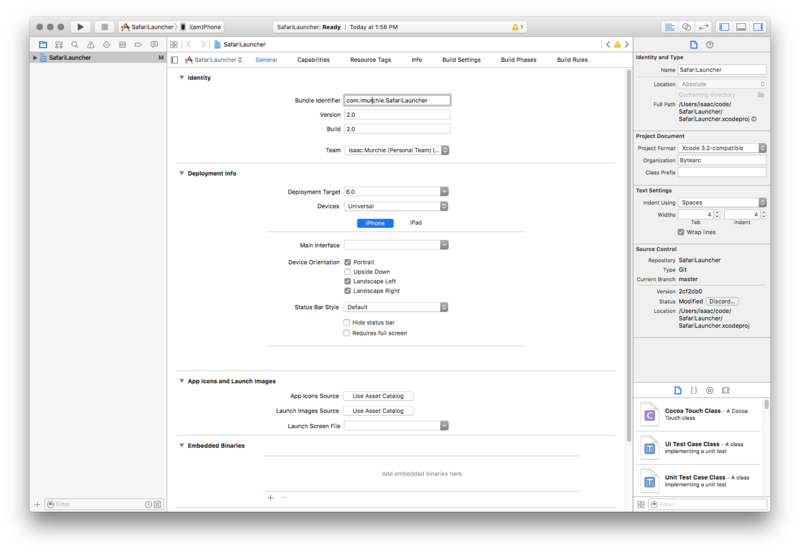 The only thing needed for automatic SafariLauncher configuration is to create a provisioning profile that can be used to deploy the SafariLauncher App. This requires, in particular, a wildcard certificate, which is not possible if your Apple developer account is a free one. If that is the case, skip to the manual configuration below. Step 1: Create a new App Id and select the WildCard App ID option and set it to "*"
Step 2: Create a new Development Profile and for App Id select the one created in step 1. Step 3: Select your certificate(s) and device(s) and click next. Step 4: Set the profile name and generate the profile. Step 5: Download the profile and open it with a text editor. Step 6: Search for the UUID and the string for it is your identity code. Note: This procedure assumes you have Xcode 7.3 or 7.3.1. It is possible to use the version of SafariLauncher that comes with the appium-ios-driver, but if you do, each time you update Appium the procedure will have to be done again.